Five year old Andrew* is enjoying life growing up with his grandparents. It hasn’t always been like this for Andrew. When he was just 2 years old Andrew was sent to live with his grandparents. He was a very active child, and his grandparents struggled to care for him. There was no structure or routine at home to help him develop and instead Andrew was spending a lot of unsupervised time on electronic devices. He became aggressive and violent at school towards his classmates and teachers. Andrew felt he had no friends to play with. Eventually, his behaviour was so disruptive that Andrew’s grandparents were told he could only attend school for one day a week. It was then that he was referred to Family Works counselor Muriel*. Andrew attended weekly sessions with Muriel, and as he developed a strong bond with her, his behaviour began a remarkable transformation. He began to flourish and feel more confident, and soon he was ready to go back to school. 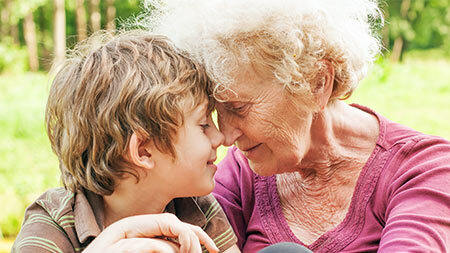 A parenting course also equipped Andrew’s grandparents with fresh parenting skills, in particular setting boundaries, establishing routines and how to respond to challenging and difficult behaviour. Andrew is now socialising and engaging with the other children at school in a really positive way. He has developed empathy and is learning to understand how his behaviour can affect other people.